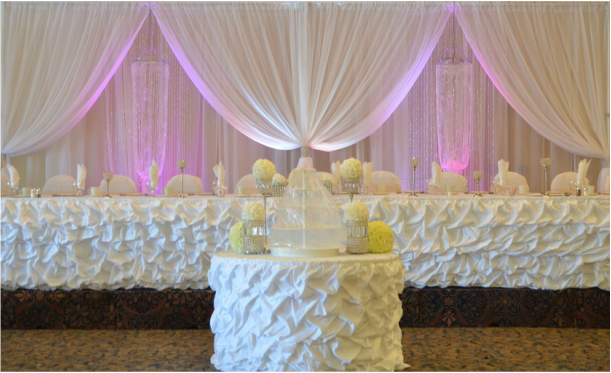 Rentals shown in the photo below: white over white drape 3D backdrop with pink LED bar lights and crystal sections, white whipped cream skirting on head and cake table with silver/crystal accents and white/cream rose balls/pomanders. 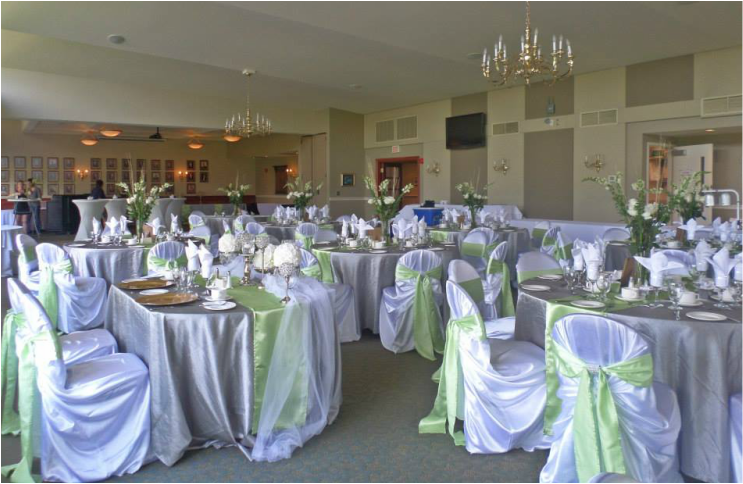 Rentals shown in the photo below: white satin chair covers, black satin sashes, white/black damask table runners and white whipped cream skirting on special tables with silver/crystal accents and red rose balls/pomanders and red rose petals. 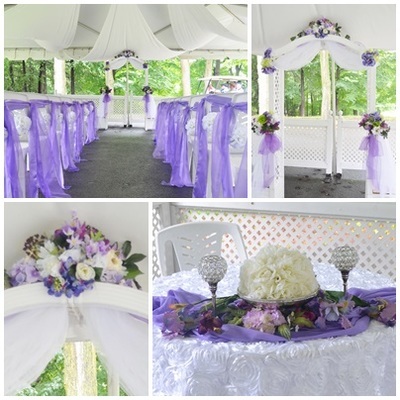 Rentals shown in the photo below: white satin chair covers, aqua satin sashes, purple damask overlays on guest tables, black frame table #s, purple swags and white drapes backdrop with aqua LED bar lights, purple swags on special tables with silver/crystal accents, LED fairy lights and artificial flowers. 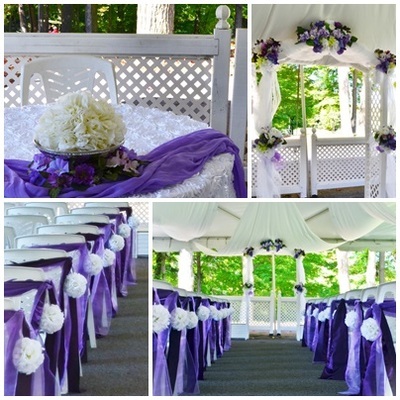 Rentals shown in the photo below: white satin chair covers, pink organza sashes, champagne satin table runners on guest tables, white linens on guest tables, centerpieces (white Eiffel tower vases with artificial flowers and hanging crystals), gold frame table #s, ivory over white 3D backdrop with pink LED bar lights, ivory whipped cream skirting on special tables with gold and silver accents, champagne satin table runners and artificial flowers; champagne birdcage for envelopes. 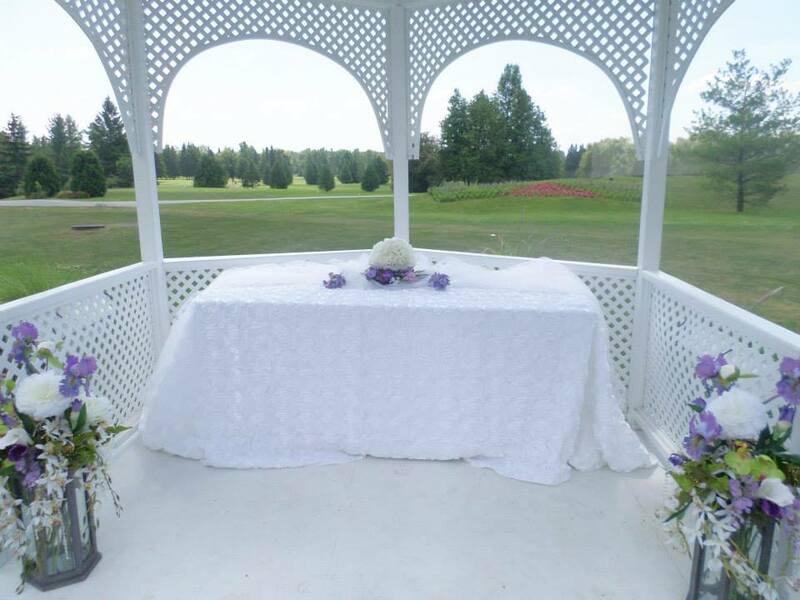 *tax included, for DIY (or with set up included provided the ceremony is at the same location as the reception, if booked with a rental package for reception decor).